Many things happen since the last post, but now this blog won new projects. First one is a USB Single Cell LiPoly Charger. I have many Lithium Polymer Batteries for my projects and charge them maybe a tricky borring if you don’t have the correct charger. Really, this batteries needs a specific charger, and may explode if you use other type of charger. 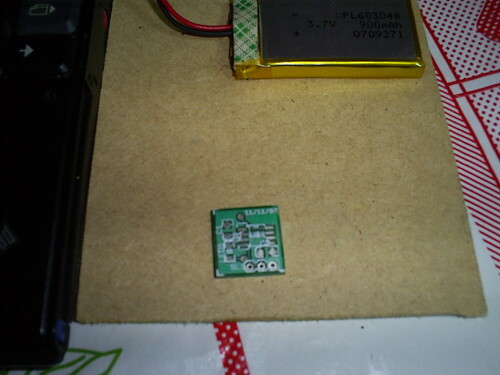 So, we start to find the correct circuit for my DIY charger. After some Google research I find the MAX1811 IC. 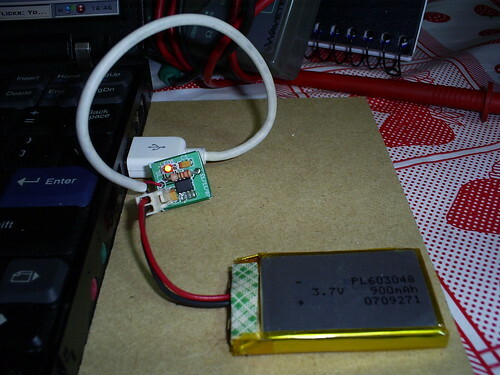 I’ts a single-cell lithium battery charger that can be powered directly from a USB or from an external supply up to 6.5V. Use a SO-8 Package, easy to solder and can be sampled at Maxim. The SO-8 Package can handle 1.4 Watts. You can select between 4.1v and 4.2v battery regulation point. You can select between 100ma and 500ma current drain from USB. 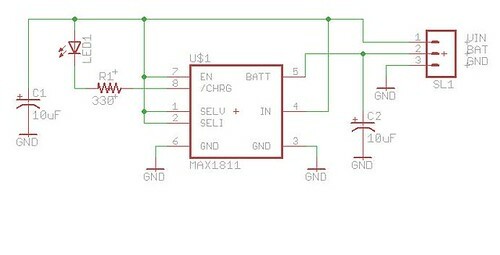 There’s a open drain pin (pin_8) for signaling end of charge condition (2.5V < VBATT < BATT Regulation Voltage). 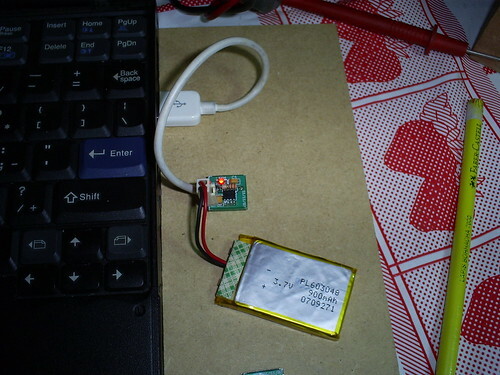 Normal charging resumes when the battery voltage exceeds 2.5V. 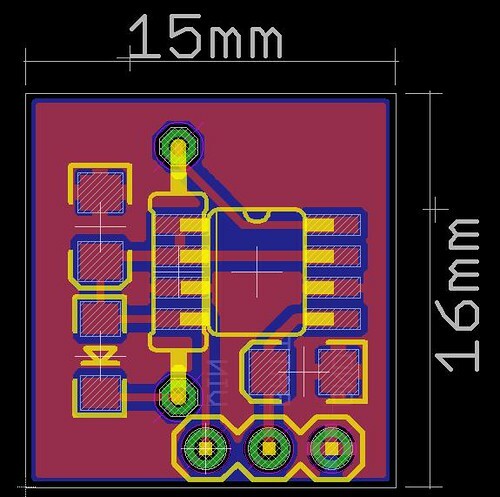 +135°C by reducing the charging current as necessary.